Dougie floated the ball, Brendan reached up, caught it and brought it to ground. Ger called for it and started running goalward. He passed the ball on to Pierce. Pierce cleared the obstacles, and had this been the Munster football final, turned and scored. But it wasn’t the Munster final. It was the day before and the Ring of Kerry cycle. It wasn’t a ball Dougie floated either but the notion of doing ROK on a High Nelly bicycle. For charity of course, Down Syndrome Kerry to be exact. 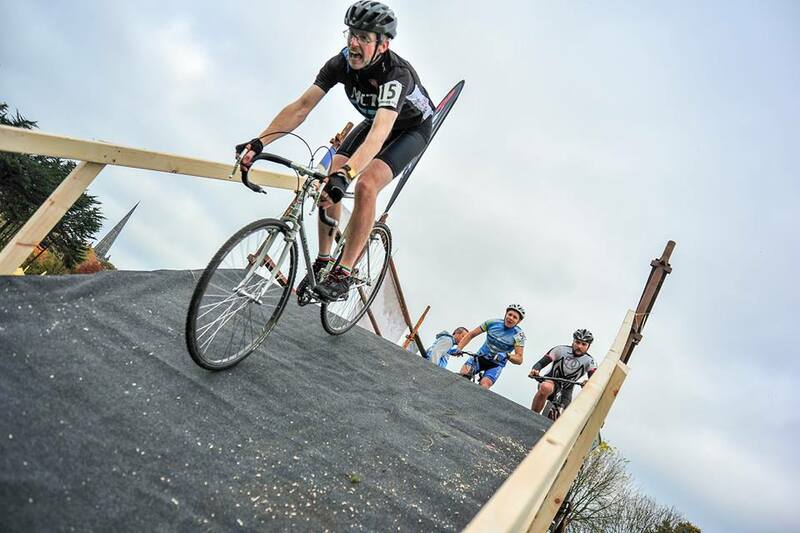 We should be committed – this sentence could plausibly end there – to riding old bicycles on challenging courses as we’re avid OldVelos, a band of retro cyclists who were asleep on the night the millennium. And had we been alive the turning of the century 100 years before we would have found our Ring of Kerry steeds ‘the height of modren’. In truth Ger found his in a ditch, mine came out of a fire and Pierce swore he had never seen his nelly till the day before. And so the banter began, banter that didn’t stop the whole way round. But first off to Ger’s for a bed for the night and some last minute high nelly adjustments. But no matter how much you adjust them rod brakes will never really work. Misworking brakes though are nothing compared to the misheard conversation that landed Ger so much sponsorship from his lady friends. Thankfully it was a fully betweeded, waistcoated and flat capped Ger that appeared in Killarney on the dawn of Saturday morning. I was similarly bedecked and then came Pierce – dressed like he was fleeing a wedding, or worse, the altar. And we set off. Much whooping and hollering at our state and questioning of our minds. But we were up for it. Ger, ever the psychologist, said “wouldn’t it be great if we could pass a carbon bike on Molls Gap”. Molls Gap was 90 miles away and his point was to start it slow. Hard to do anything else on these, but a young OldVelo sometimes finds it hard to let the slipstream of a passing wheel go. 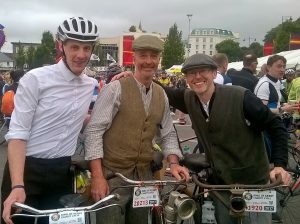 “Are ye heading for mass lads”; “You’re not riding the whole thing on that are you”; “Would you look at the High Nelly” “State of them”; “How old are those bikes” “Do you have an engine in the cardboard box?” “Are ye out of your minds”. “Ha Ha Ha, ya fools”. Mirth and good humour accompanied our ride. That was until the climb in Killorglin. Ger was considering walking the climb, I wanted to try to get to the top. Ger held me back. “Don’t wind up to it too quick” he warned as we turned onto the bridge. “Oh god we do go straight up to the top!” I took a good run up to it “coming through” I pleaded to a slower rider, momentum and stupidity were going to have to get me to the top. But, what’s this, another rider was matching me, pedal stroke for pedal stroke, except he could talk. “I’m going to get you on the line” he exhaled and that’s when Pierce passed me. Ger wasn’t walking and not too far behind. Goodbye Killorglin and onto Glenbeigh. A few week previous, a text from a friend: “Are your bikes insured?” – “Ha Ha” – “The tennis club burnt down” – “Seriously”? My high nelly was on display in Aghada Tennis Club for their centenary exhibition and the clubhouse burnt down. Seriously. Luckily the bike only endured the heat and not the flames. No lasting damage, ‘phoenix from the flames’ kind of stuff. But age and maybe heat and maybe use and maybe my weight combined for the leather of some long forgotten cow to split under my coccyx. What to do? 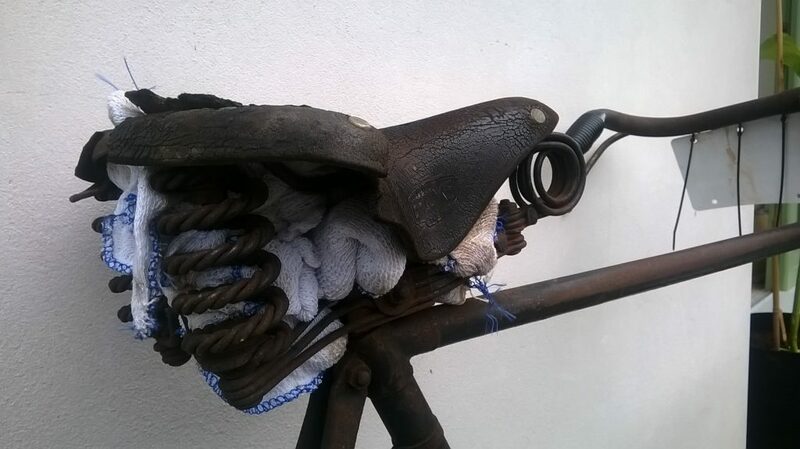 They don’t sell €100 Brooks saddles in Glenbeigh but they do sell tea towels and under my aged leather saddle they were stuffed. The €2 solution would have to do. We were all happy with our progress and I was beginning to appreciate Ger’s early morning advice. We kept up with a lot of cyclists on the flat, even passed some on the ramps, but once going downhill we just couldn’t keep up and coasted. Coasted it feels most of the way to a rather misty wet Cahirciveen. A nice bit of grub later and with no point in waiting for the rain to stop two certain phenomenon started. One, a rainbow pool lay under our bikes from some over eager oiling the night before and two, “could we get a snap with you … and us too”. Well-oiled our steel may have been but they were also notably magnetic. “Sorry ladies, we must ride-on”. Ger’s tweeds were now equally wet on the inside and out, Pierce donned his Castelli top (but this may have been a disguise after “altar gate”) and I just got old fashioned soaked. At least there were some hills coming, we’d be able to warm-up. Hills, especially a seriously big hill, brought another new intonement from fellow cyclists, less with mirth and more amazement as we pushed our single gears (or “no gear” if you’re Ger): “Ah jaysus”, but as it happens there was worse to come. The fog on Coomakista possibly made it less daunting but we all made it up in our own good time. When we stopped for coffee some more ladies came for snaps. A favourable wind – in my view, or from my view, or from the fact I was sitting up bolt straight and basically sailing – brought us in good time and good humour to soup and stout and Sneem. And then Kenmare, 90 miles and the upcoming Molls gap. This was to be the real test of men and their nellies. You can’t really spin the pedals on a nelly, but you can hope for momentum. 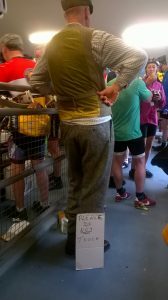 Helpful too are the pleasure cyclists who are the real champions of the Ring of Kerry. Pierce and I had been given permission to ride at our own pace – thanks Ger – and we chatted about our steeds, we mused over the merits of 26” and 28” wheels, the over-steer of raked forks, the comforts of our saddle, the importance of tea towels in emergencies and all the time passing cyclists afflicted with some kind of benign ‘tourettes’: for f&*k sake..well done; f%^k no…fair play; ah sh!te…good going; jaysus..you’re legends; come-on..steel is real; yiz b@$£@7ds… ye’re some men. And so with the sounds of expletives and affirmation in our ears we ascended and then descended happily, nay joyously, into Killarney, where a woman in a white dress may or may not have been waiting for Pierce. 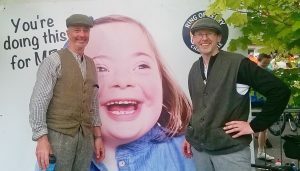 Brendan, Ger and Pierce rode three 1920’s Raleigh High Nelly Roadsters around the Rink of Kerry for Down Syndrome Kerry. You can donate here and could someone give Dougie back the ball ! A bridge too far ! 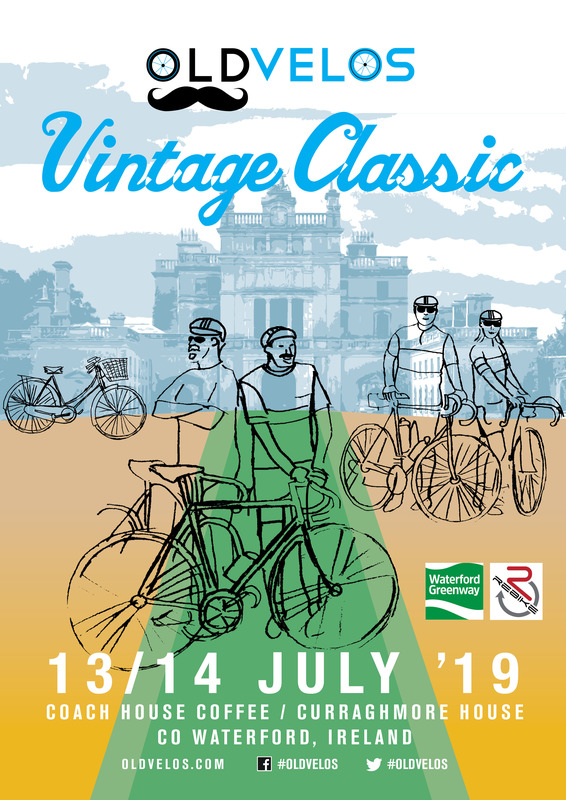 Previous story Time is running out to enter the OldVelos Vintage Classic!! !